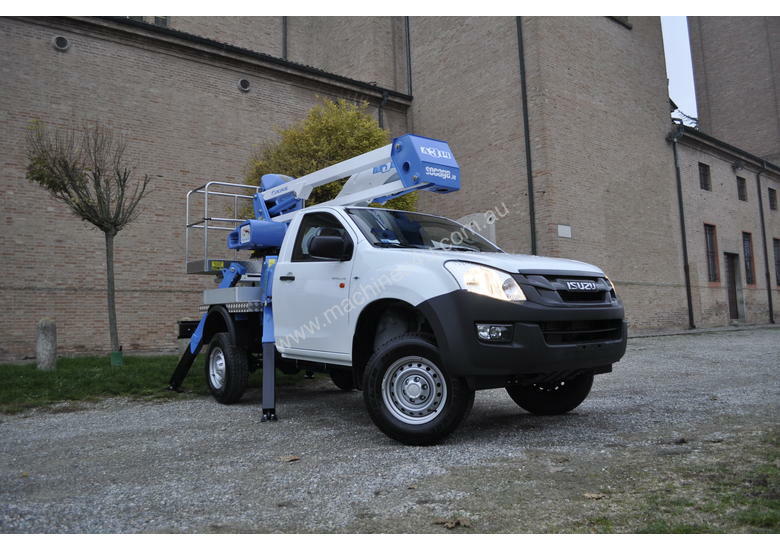 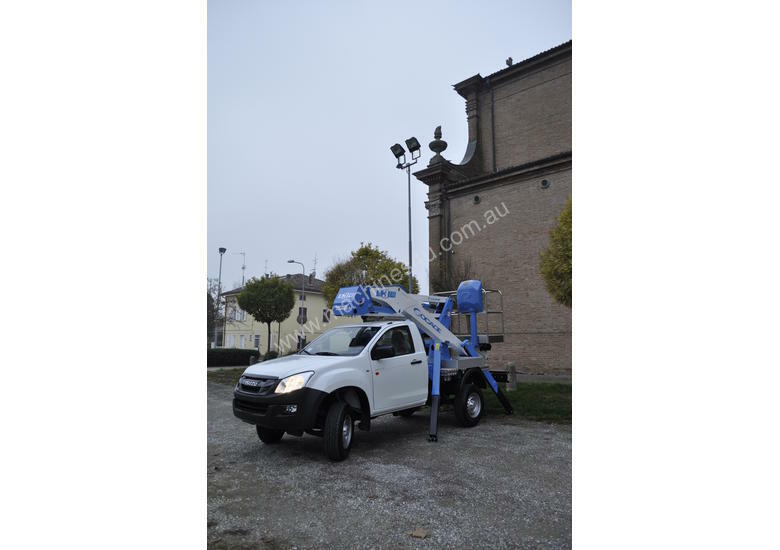 A314 mounted on pick-up, for example on Isuzu D-Max/Nissan Navara, is an articulated aerial platform developed for off-road where a standard platform would not be able to access. 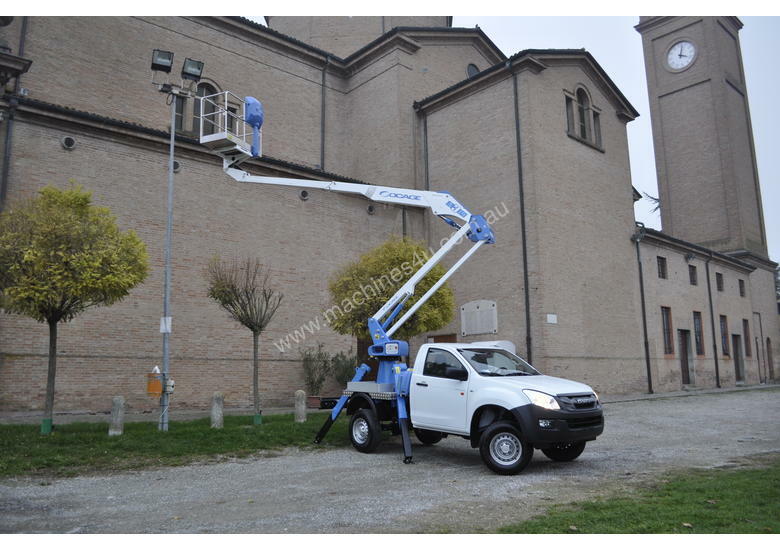 Able of a maximum working height of up to 14 m and it has got a safe working load (SWL) of 225 kg (2 operators + tools). 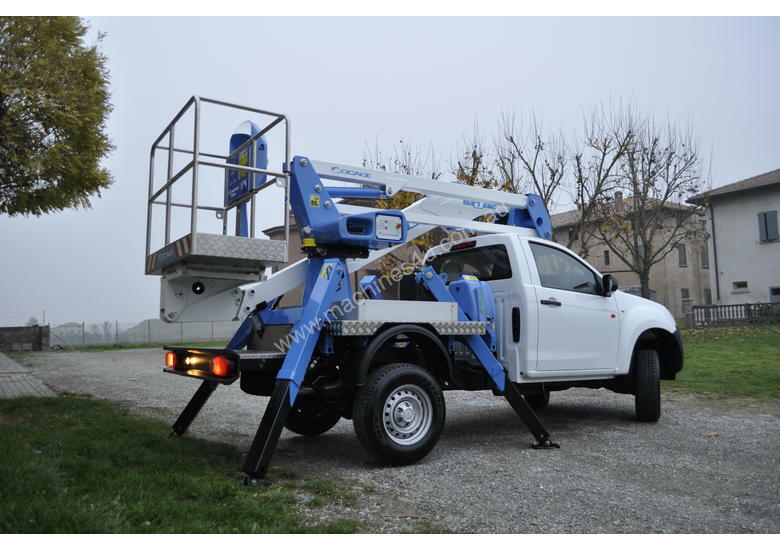 A314 on pick-up is able to 90°+90° basket rotation to improve the outreach to 7.2 m. Finally new ground controls with four individual levers allow the operator to deploy the outriggers and stabilize the platform even in the most difficult environment. 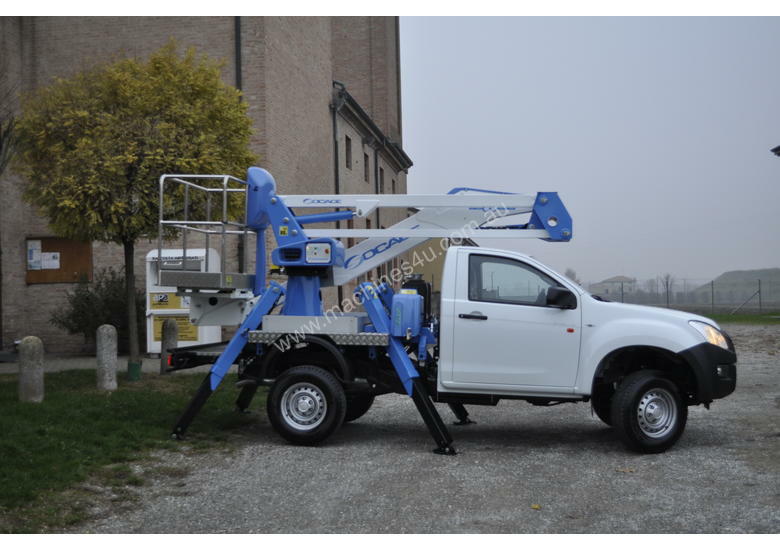 A314 on Isuzu/Nissan are able to face downhill, on both sides, up to 5° inclination, a feature difficult to find on another articulated aerial platform.